We recommend a reputable Transportation company, of which we have partnered for several years, who can help arrange for your private transfer taking you right to the door steps of your vacation home. If you're arriving with a large party, a personalized private service might serve as the best option for you. Getting to Playa del Carmen from the Cancun International Airport is easy. Expect the drive time to be about 45 minutes depending on traffic. As you leave the airport, (there is only one road that exits the Cancun Airport) you will pass a number of billboards prior to approving approach Highway 307. The on-ramp to the RIGHT before the overpass goes to the Riviera Maya-Playa del Carmen and is the ramp to go south on Highway 307. The sign says Tulum and/or Chetumal. 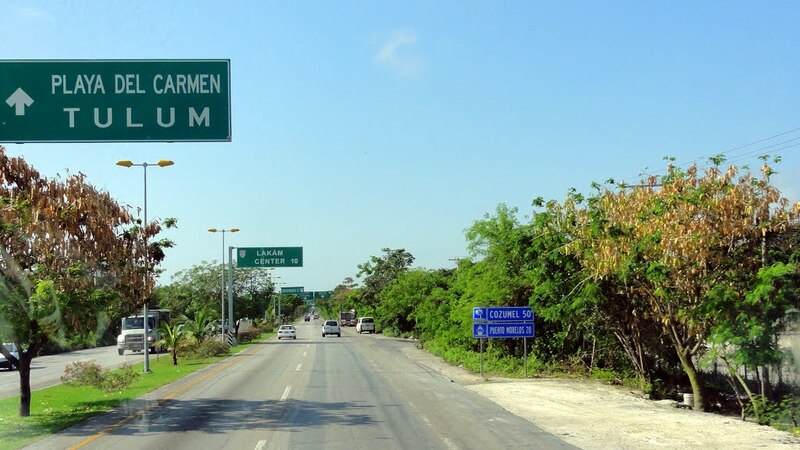 Continue on this highway SOUTH until you reach Playa del Carmen. The bus company ADO operates a direct bus service between Cancun airport and Playa del Carmen. The bus leaves from outside the main arrival hall at the airport and takes you to the main bus station on 5th Avenue and Av Benito Juarez in Playa Del Carmen. 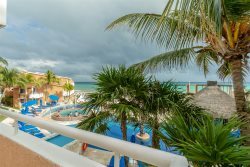 Once you arrive to the bus terminal in Playa Del Carmen, there are plenty of taxis available to take you to your vacation rental home.